Buying cabinets from us is just like buying cabinets at the Home store. 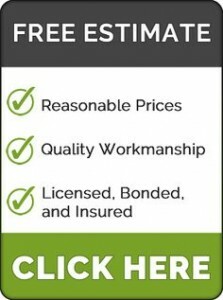 If you are not a professional in the residential home building trade and/or you have never purchased a kitchen cabinets before, we have included more detailed instructions on how to purchase your cabinets online. We also have included measuring instructions at the bottom of this page. You can visit our showroom at 1445 N. Maple Ave. Fresno, Ca 93703 or call at (559) 917-5336 When you buy cabinets from us, you will be working with a design expert that’s been in this field for as a professional for more than 10 years. Our experts will guide you through the process and help you create your dream kitchen. For more information, please give us a call at (559)917-5336 Monday – Friday 10 AM – 5 PM EST. You can also order online by following the steps below. First you need a plan. We will help you in every step of the way. Fill out our contact us form if you need help. Go to the catalog page, choose your desired cabinets. Write down the cabinet part number on a separate notepad. Go pick out your desired door style from our door catalog, write that down on the notepad, also. After you choose all your cabinets and door style, fill out the order form below with the cabinet part number, the door style and any other details you may have, and you are done. If you have a custom piece cabinet that is not in the catalog, write down the details you have in the order form. All the cabinets in our catalog can be customized any which way you want. Measuring is one of the most important step to saving money and getting rid of headaches. If you want to avoid problems down the road, it’s important that you make sure that you are taking accurate measurements in the beginning. If you need help you can call us at any time. Get a tape measure a piece of paper and a pencil ready. Take your time don’t rush and record measurements correctly. Measure everything three times if you have to. Round each measurement to the nearest 1/8″. Always start at the corner and work your way out to an opening, when measuring always try to imagine yourself as if you are looking down at the room from the ceiling. Measure the whole room wall to wall, indicate all breaks in walls (windows, doors, openings) by measuring from the corner to the outside edge of the molding or opening. Mark where the wall end is and where the cabinets will be exposed. Don’t forget to indicate any appliances and exactly where they go, openings for air vents, offsets, etc. From the corner, measure to center line of plumbing, or if the plumbing is under a window, measure to the center line of the window, because the plumbing might not be centered, also don’t forget to mark any ducting and outlets. Remember, plumbing and outlets can be moved to accommodate a design. Measure the height of the room, with your plans submit any appliance specifications that you may have, it will make sure that the cabinets built will fit, guaranteed. Measure the width of the available space. Take into account the room necessary for cabinet doors and drawers to open. Consider door clearance and toilet location when designing your bath. Cabinet end should be 16″ to the center of the toilet, otherwise it might be too cramped. Again measure to the center of the plumbing and mark any outlets that might be there. 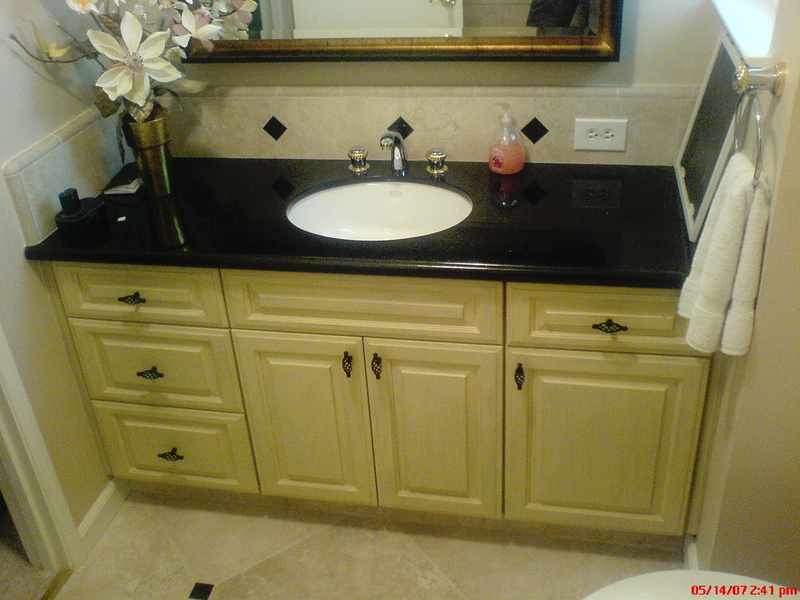 Bathroom vanities are usually 21″ deep, make sure it will work in your available space. If your space is limited, we can make 18″ deep bath vanities. Confirm that a 32″ Height vanity will work in your available space. Our vanities can be up to any height but standard is 32″. Go to the cabinet catalog and choose your cabinets, come back here and enter the information.